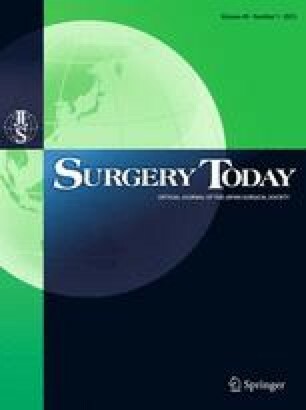 Sutured and stapled intestinal anastomoses are perceived to be equally safe in elective intestinal surgery. However, our search of the literature failed to find any studies comparing hand-sewn and mechanical anastomoses in emergency intestinal surgery. Thus, we compared the short-term outcomes of patients with sutured as opposed to stapled anastomoses in emergency intestinal surgery. Between 1995 and 2001, 201 patients underwent emergency intestinal operations at the Department of Emergency Surgery of Sant’Orsola-Malpighi University Hospital. The outcomes of patients with sutured and stapled anastomoses were compared in a prospective analysis. Patients were randomly divided into a stapled group (106 anastomoses) with anastomoses made using linear and circular staplers, and a hand-sewn group (95 anastomoses) with anastomoses made by double-layer suturing. There were no significant differences between the groups in operative indications or other parameters. The operation times in the stapled group were significantly shorter than those in the hand-sewn group (P < 0.05), but there were no significant differences in anastomotic leak rates, morbidity, or postoperative mortality between the two groups. In emergency intestinal surgery comparable results can be achieved using mechanical and manual anastomoses.